Originally a painter, Yoshimi Tokuda has revived the old craft of lacquer underglazing - urushimaki in Japanese. 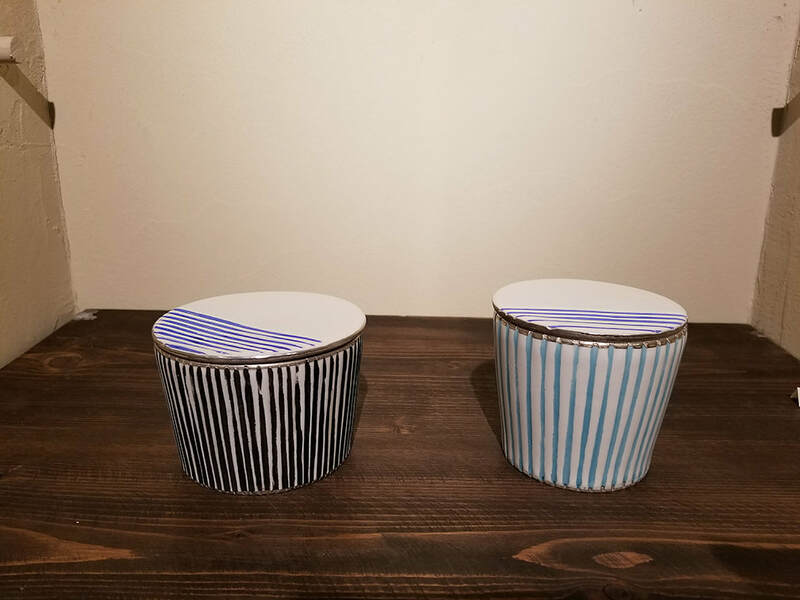 Beginning with part 5 in this series, we will start looking into the future of ceramics in Tajimi. 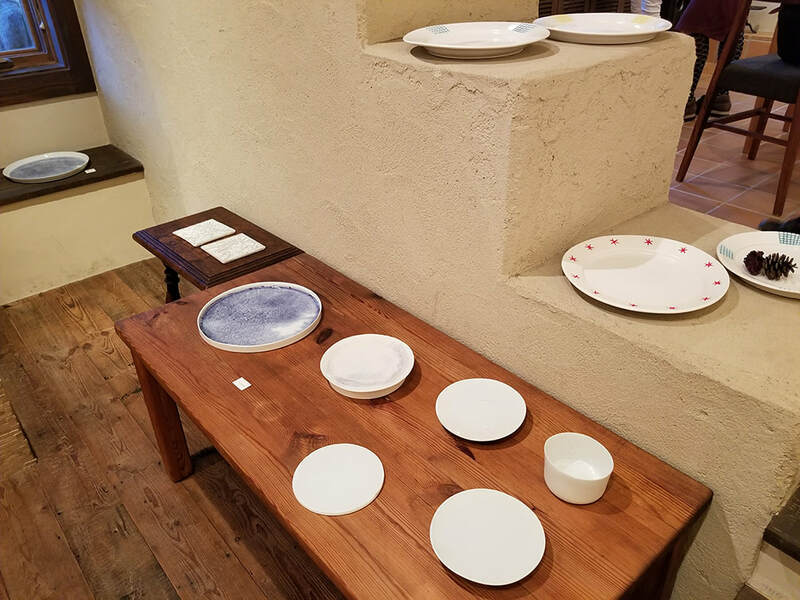 Mino ware is the tradition in the area, but ceramics in this town encompass virtually all aspects of pottery and porcelain as well as tiles production in Japan. In fact, this solid infrastructure and creative freedom can be said to be the most important aspect of this town. With this in mind, we will introduce people in the present with a vision for the future, starting with a very dynamic female craftswoman. "Why did I want to pursue this path? Because I couldn’t understand the technique at all. That was the reason! I simply wanted to master it because I had no clue how it worked." 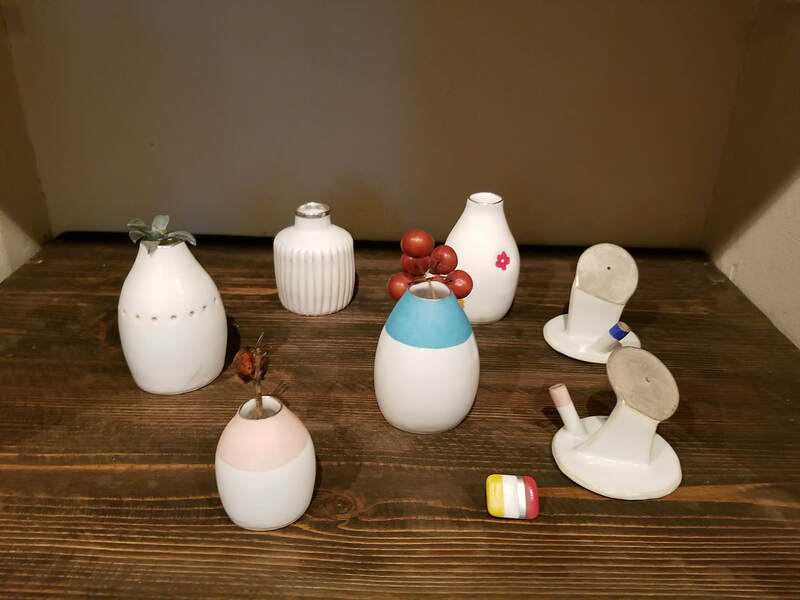 Starting from scratch as a ceramics artist to make a living takes a considerable amount of bravery, guts and an unwavering passion for creativity. Yoshimi Tokuda certainly seem to have those qualities. 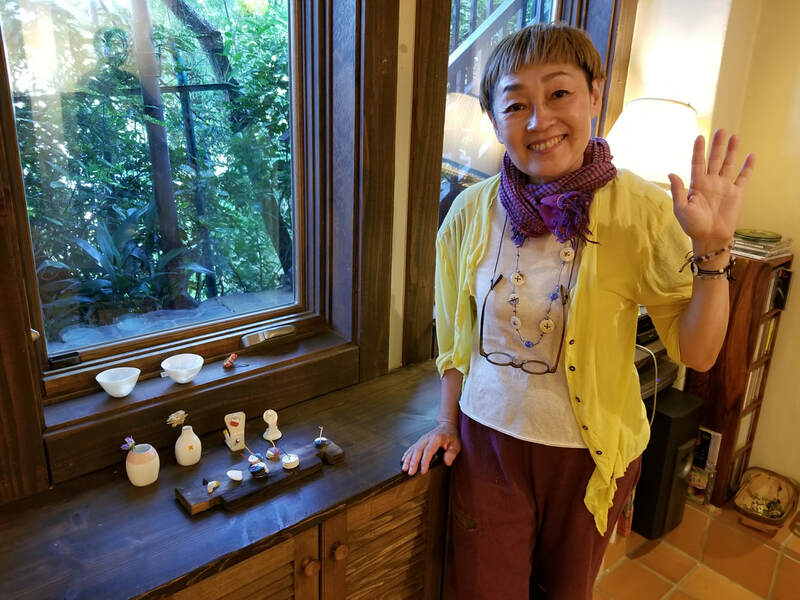 She took a long hard look at her existence as a hard working freelance artist in Tokyo and decided to start from zero in ceramics. Tokuda entered the Tajimi Technical High School, found her passion, and set out on a journey of discovery and exploration of a forgotten craft. 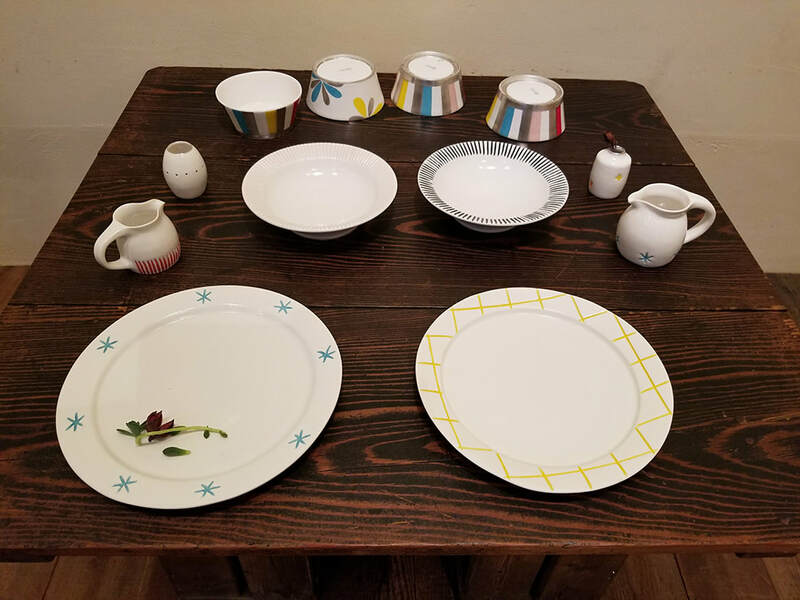 Her interest is to create simple and beautiful things from ceramics that has practical use - much of her production is tableware. We met her at Studio Mavo, an old storehouse divided into small ceramic workshop spaces for rental. ​Yoshimi To​kuda has revived a forgotten Japanese technique - Urushimaki - by which ceramics are coated with laquer to make the colours really pop. “The basic idea is to use lacquer as a glue to apply colour to a surface,” Tokuda says. The Urushimaki technique takes advantage of this quality of lacquer by using it as an adhesive for colours applied on top of it. After cleaning the pattern up you fire the ceramics in the kiln and the lacquer is burnt off in the process, leaving only the coloured pattern. From the Meiji era until around 1945,Tajimi had many urishimaki artisans. “Urushi” means lacquer and “maki” means “picture on top of a ceramic surface, and a rough English translation would be something like ‘'lacquer overglazing'. Overglazing is basically about putting a design on top of a piece of ceramics that has already been fired. In other words, you need to make the colour, a powder, stick somehow to a hard, slippery surface. For that you need glue. Lacquer has that quality, so you paint the glazed piece of ceramics with lacquer and put the powder colour on top of it. There are other substances that can be used as adhesives. The big difference is that of the kind of colour finish you can achieve. With all the other methods, the colour loses its vividity when you fire the piece a second time. Lacquer, by contrast, preserves the original quality of the colour. It is mixed with turpentine oil and painted on the ceramic surface where the color needs to be applied. The paint is thus fixed by utilizing the adhesive strength of the lacquer. The lacquer itself is burned out by the subsequent burning. “It certainly takes time and effort”, Tokuda says, “but really beautiful coloring is possible”. In this popular video Tokuda gives a demonstration of how urushimaki works (English subtitles). The 15 minute presentation is a record-braking hit on this site :-) See no subtitles? Click the little "CC" (closed captions) icon in the right bottom of the screen. It is not known how the craft of urushimaki came into being, but some believe its roots can be traced back to the The Qing empire which was established by Manchurian invaders in China. 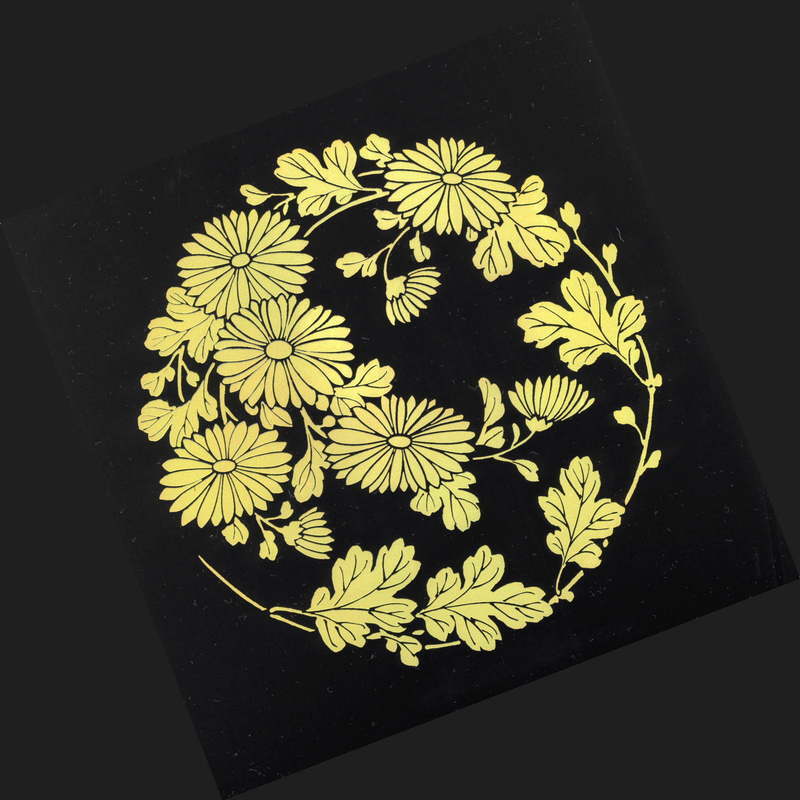 When the Japanese imported the technique they borrowed from their native maki-e (literally: sprinkled picture) tradition, by which lacquer is sprinkled with gold or silver powder and applied to a surface as a decoration using a brush. Urushimaki has borrowed from the ancient Maki-e technique used to apply gold and silver patterns to a surface. 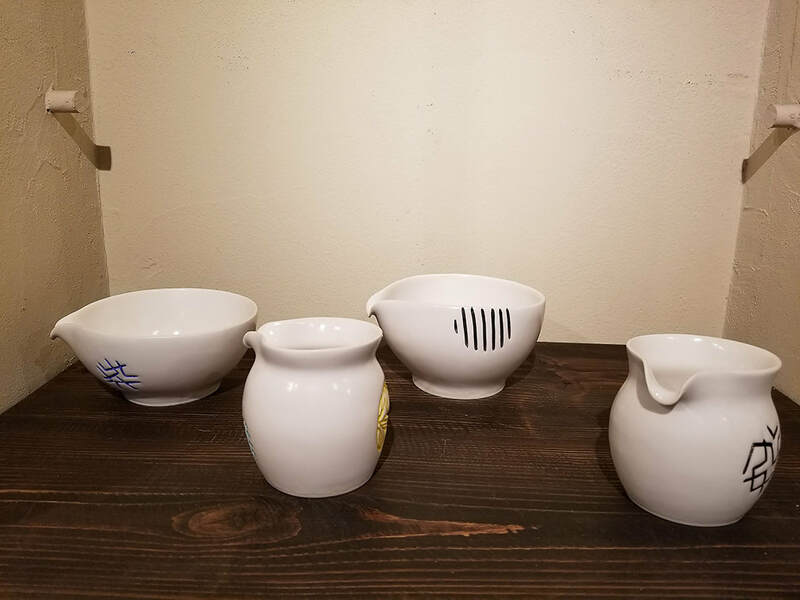 “Urushimaki is not the only technique in the world of Japanese ceramics that is in danger of disappearing,” Tokuda says, “far from it. Few remain who can transfer their knowledge to younger generations. Sadly, we can’t seem to find a good channel for these aging craftsmen to teach us. They are so eager to find an outlet, but local government can’t seem to find them a platform to do it. You can’t find people who can teach urushimaki in the education system today. I was lucky to have been taught by some of the last. Even many ceramics artists are ignorant of this craft today. “I really had to work hard in order to revive the knowledge that has been lost, little by little”, she continues. “Time and again the pieces came out of the kiln looking awful. A small mistake can easily result in the whole piece turning black, for example. It has been a long journey to arrive where I am now. The raw materials are getting hard to find, and I didn’t know what would work in the first place. For example, I spent a year trying to find a laquer that would produce the right result. Tokuda is fascinated by the rich and vivid colours that urushimaki makes possible. “I find that this works best in simple patterns,” she says. “Personally I much prefer geometrical symmetry and simplicity to designs that portrays real objects in the world, like flowers, for example. 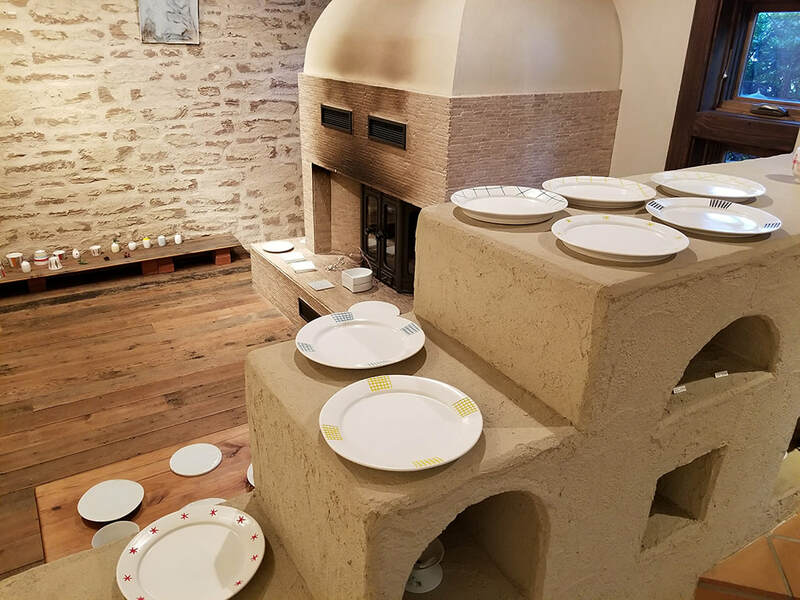 It gives the ceramics a modern look. There is a lightness in such design that I find attractive. Creating them is not easy work though, by any means. That doesn’t mean that I want people to feel all the effort that goes into this. Quite to the contrary, I want my design to look like they have been created with ease. “The reason for my fascination with this technique is partly to do with how hard it was to understand and master”, she says. “I went back to school after many years of freelance work in the design world in Tokyo. By chance I discovered pottery as an alternative method of creativity to what I had been educated for - oil painting. I took a long, hard look at my busy life and decided to start again from scratch. I moved back to Nagoya from Tokyo, and enrolled in the ceramics course at Tajimi Technical High School. I didn’t even have a driving licence, so I had to get one so I could commute. My marriage had ended after three years. Then my father passed away. It was a difficult time, but a new beginning, and I wasn’t sure where it would take me. Yet after many years of trial and error Tokuda finally managed to understand her craft and to find somewhere to show it to people. She still remembers how she found the first order on the floor - a fax from Tokyo. Today her designs are being discovered by a wide audience who share her attraction to simple, colorful, modern design. ​We visited her again a few months after the first interview. This time the place was an exhibition in a private villa near Nagoya. The wares she exhibited that day decorate this article. We also had Tokuda try Virtual Reality. We sent her to a porcelain factory in Sweden - Gustavsberg in Stockholm - and it was fascinating to see her reactions. She was blown away, not only because the magic VR is, but by the fact that she could do a tour of a factory she could relate to very strongly. She took in every detail, commented on everything she found interesting. I believe she could have spent a day in there if the batteries wouldn’t have run out of juice. Not everybody reacts this way to VR. In fact, quite a few people we have tried it on have had reservations regarding the usefulness of the technology. Interestingly, they tend to be older men, especially men who have already made up their minds about what is useful and what is not in the world. Tokuda, on the other hand, is probably always going to be curious about new things, especially in the world of ceramics. I think she is just the right kind of person to open up a countryside town like Tajimi to the world.